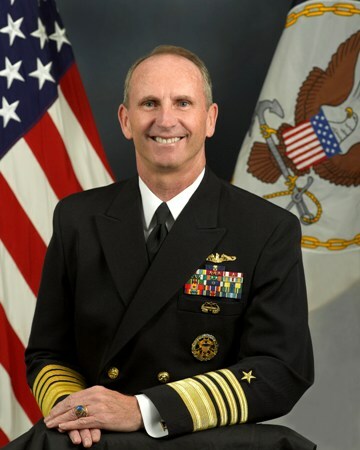 Admiral Jonathan Greenert, the Chief of Naval Operations and the US Navy’s representative on the Joint Chiefs of Staff, will address the Los Angeles World Affairs Council on Friday November 15th. Admiral Greenert, who is the most senior officer in the Department of the Navy, will talk about the Navy’s worldwide role with a particular focus on operations in the Pacific. With the rise of China and India there has come a rush to project power across the oceans, with both countries seeking to establish aircraft carrier battle groups. China has ongoing conflicts with a number of its neighbors over disputed islands and maritime territories in the South China and East China Seas – conflicts that overlap heavily trafficked sea routes for international merchant shipping. The US Navy plays a major role in overseeing security of the sea lanes in the western Pacific, and the Obama administration has announced that the US will increase its focus on East Asia under the so-called “pivot” strategy. Admiral Greenert will assess the strategic threats the US faces in the Pacific, the rise of China, the pivot strategy, and the future of the US Navy’s posture in the Asia-Pacific region. Admiral Greenert graduated from the US Naval Academy in 1975 and completed studies in nuclear power for service as a submarine officer. His career as a submariner included assignments aboard USS Flying Fish (SSN 673), USS Tautog (SSN 639), Submarine NR-1 and USS Michigan (SSBN 727 - Gold Crew), culminating in command of USS Honolulu (SSN 718) from March 1991 to July 1993. Greenert later served as Commander, Submarine Forces Pacific and in 2004 he took over as head of the US Seventh Fleet. On September 23, 2011, Admiral Greenert became the 30th Chief of Naval Operations, the deputy to the (civilian) Secretary of the Navy. To RSVP, please call the Los Angeles World Affairs Council at 424-258-6160 and mention you are a member of JAS. Reservations must be made by November 13.